When it comes to work, you can also find me in one of the metro’s main commercial business districts. I breathe and live the city life, and can’t imagine myself living outside the city.. probably for the next 50 years. It’s crazy, but that’s just me! Being a city girl means I’m always under the sun and exposed to all sort of things such as pollution, chemicals, and harmful UV rays. As I grew older, I realized that it’s not all fun under the sun and in fact, the sun can actually do a lot of damage on my skin. Did you know that the main environmental factors that damage the skin are the sun and pollution? Prolonged and excessive exposure to the sun can lead to skin darkening, aging, and even cancer (!!!). Pollutants, on the other hand, can trigger oxidation and damage skin cells. I love the sun and how it just gives me life – a boost of energy and even motivation. Instead of being afraid and totally avoiding it, I realized I could just protect myself from it. I found a solution to my city girl dilemma – my #IAmCityReady kit containing the new Vaseline Healthy White Sun + Pollution Protection. It always helps to find out the contents of your products to know what makes it work and what you’re putting on your skin! 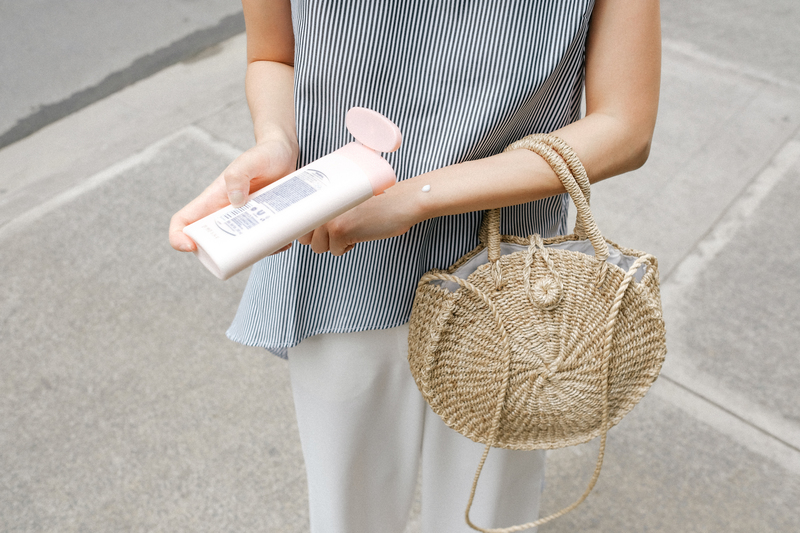 Aside from the two main benefits of this lotion, I love that it’s non-sticky and has a light-weight formula (don’t you hate the sticky feeling after putting on lotion?). It’s as if I didn’t put any product at all! 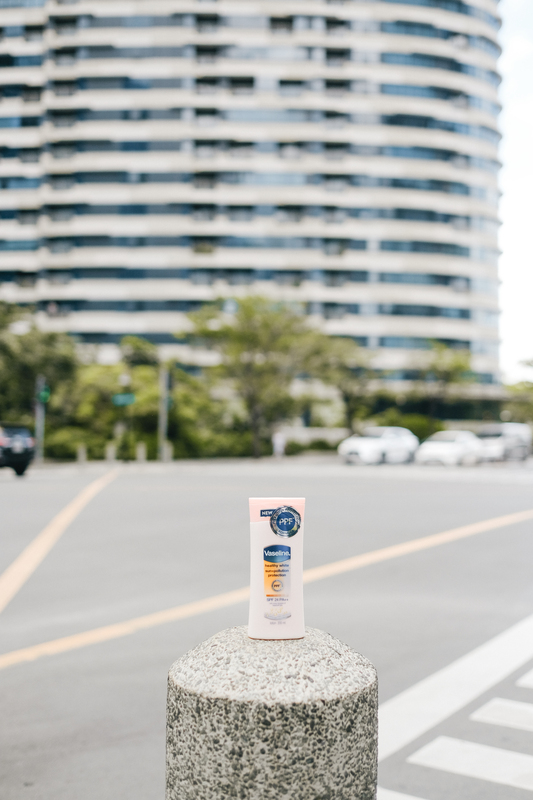 Now it’s definitely a breeze to walk around the city – be it during work or travel – because my skin is city-ready! If you’re always on-the-go like myself I suggest you try this one out. Your skin will thank you after! 100mL – Php 116.00 | 200mL – Php 200.00 | 350mL – Php 315.00.